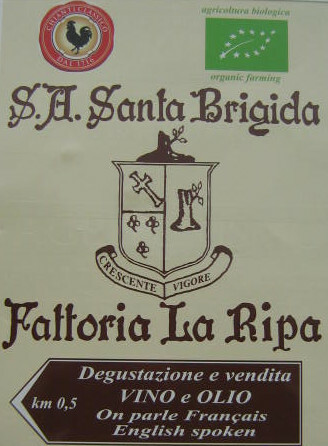 Fattoria La Ripa is a property of S.A.Santa Brigida from 1940. 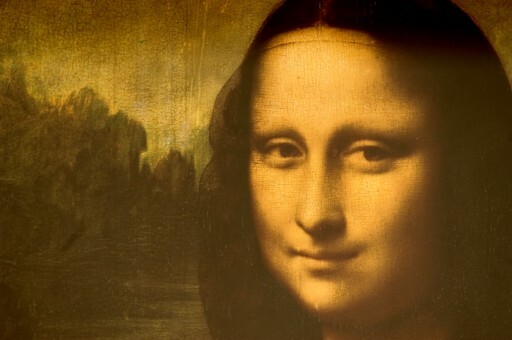 In the 15th century La Ripa was owned by Antonio Maria di Noldo Gherardini, the father of Monna Lisa (the Gioconda of Leonardo da Vinci), who gave a smaller part of the property as dowry for his daughter’s wedding with Francesco di Bartolomeo di Zanobi del Giocondo. The main house was already indicated in the maps of the “Capitani di Parte Guelfa”and is situated in proximity of an ancient “Via di Cresta” (Ridge Road) connecting Val di Pesa and Florence, with Val d’Elsa and the “Via Francigena”, the main road taken by the crusaders from France and Northern Europe in their travels through Siena and Rome to Apulia, from where they sailed to the Holy Land. La Ripa is located on the border between the territories of Florence and Siena, in the area of Barberino Val d’Elsa and Castellina in Chianti townships, in the heart of the High Chianti Classico zone, on the “Strada Provinciale dei Poggi” that goes from San Donato in Poggio to Castellina in Chianti, and has an extension of about 140 hectares. 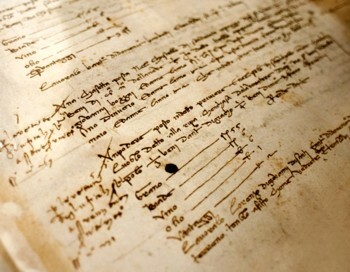 of which about 16 hectares are vineyards and about 12 hectares are written into the Register of Chianti Classico DOCG vineyards. The rest of the property is cultivated with olive groves and grains. A good surface is covered with forests. The farm has been in production since 1940 and bottles and sells its wines and Extra Virgin Olive Oil under its own label from 1968. Recently a small production of Grappa of Chianti Classico (marc) has been added. From 2001 the rules of the Organic Farming are strictly applied in Fattoria La Ripa and, therefore, from 2006 our wines and extravirgin olive oil are certified as “produced with organic grapes and olives” by the certfying agency Bioagricert (IT BIO 007). 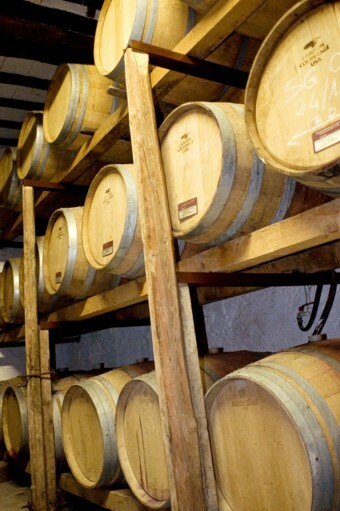 Most (70%) of the Wines, Olive Oil and Grappa produced and bottled on the farm are exported to the United States, Canada, Japan, China, Russia, Norway, Switzerland and throughout the European Union. The principal product of the winery is Chianti Classico DOCG Fattoria La Ripa and its Riserva, from the best Sangiovese and Canaiolo grapes produced in the estate’s vineyards at an altitude of 400 m a.s.l. and with Southern exposure. In addition to Chianti Classico, the traditional product of La Ripa, the winery also produces, strictly from its own vineyards, a French and American oak barrique aged Cabernet-Sauvignon/Sangiovese dry red IGT wine (Supertuscan) called “Santa Brigida”. Another traditional product from Fattoria La Ripa is the Vinsanto D.O.C. of Chianti Classico, from faded grapes of Malvasia, Trebbiano and a small amount of Sangiovese, slowly fermented and aged in sealed oak barrels for 10 years. Fattoria La Ripa red table wines are called “San Giorgio alle Rose IGT” and “Le Terre di Monna Lisa IGT” both made of a blend of Sangiovese and Canaiolo grapes..
La Ripa Grappa and Grappa Riserva are obtained from distillation of the fresh pomace in discontinuous steam operated still, guarantying fruitiness and softness. Last but not least, Fattoria La Ripa’s low acidity Extra Virgin Olive Oil is from first cold pressing of olives grown on the property. The fruitiness of this Olive Oil, together with its low fat content and the absence of chemicals and preservatives, make it ideal for the Tuscan style salad dressing. 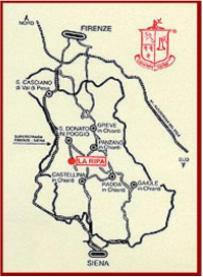 To get to Fattoria la Ripa, from the “Florence Impruneta” exit of the Autostrada del Sole take the freeway Florence – Siena (Autopalio) until the exit of S. Donato in Poggio. At that exit take on your left road nº101 towards Castellina in Chianti, flanking the village of S. Donato in Poggio, for 4 km. Then follow the private road on the left indicated by the signpost illustrated above on this page. Coming from Siena on the freeway at the exit of S. Donato in Poggio take road nº101 on the right to Castellina in Chianti, then follow the instructions as described above.